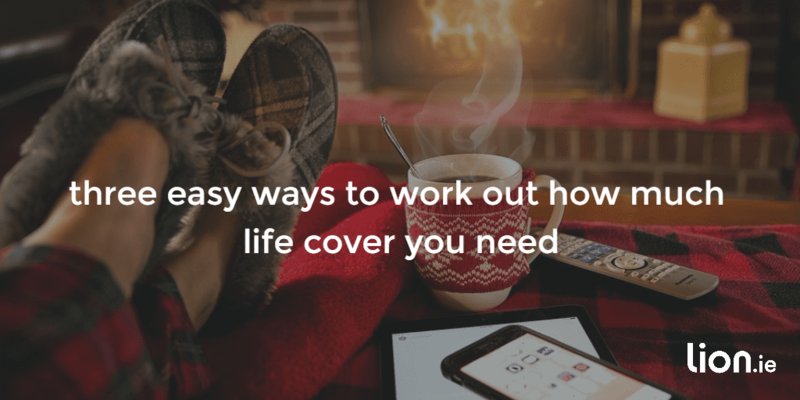 Or how much life insurance do you need to protect your family? You know why you need life insurance but how much life insurance do you need? First off, relax, there’s no exact answer. You could drive yourself mad trying to figure out an exact amount. There are two ways you can provide for your family on your death. Let’s says you earn €50,000 per year and expect to work for the next 30 years. You have potential earnings of €1,500,000 over those 30 years. If you die, your family loses that potential income. So do you need €1,500,000 worth of cover? Your mortgage protection policy will clear your mortgage so that eliminates one large outgoing. Plus, I hate to say it, but you’ll be gone too and so will your day to day costs (food, clothing etc) so that reduces the amount you need even further. Multiply your current income by your years to retirement. 2) If you are buying life cover to protect your children while they depend on your financially. Instead of using years to retirement, you can use the age of your youngest child to workout the cover you need. Did you know there’s a new kid in town when it comes to calculating how much life insurance you need? He’s called monthly income life insurance and she does away with the need for complex formulas to calculate your life insurance. Instead you just pick an amount that you would like your family to receive tax free every month. No need for your family to worry about how they’re going to invest a large lump sum of money to get the best return. You get the peace of mind that they won’t face financial hardship if you go before your time. Life insurance is, after all, for them not for you. Another bonus is that monthly income life insurance costs a lot less than term life insurance. Our life insurance quotes machine doesn’t quote for monthly income cover but if you’d like a quote, complete the short form below and I’ll be right back. 3) Ask me to do it for you! Then perhaps, you’d prefer I did it for you – it’s what I’m here for! Simply complete this financial questionnaire and I can advise on the type and amount of cover to suit your individual situation.